NOffLA was established in 1991 and represents independent specialist off-licences across Ireland. The Association has 315 members, which represents 5,300 jobs in 26 counties. NOffLA works to promote the responsible sale, marketing and consumption of alcohol and to share best practices with the entire trade. Its Responsible Trading Certificate (RTC) training programme ensures that all its members are trained and examined in retailing alcohol in the most safe and responsible manner. NOffLA’s members' outlets are specialist or pure off-licences and tend to be owner-operated, located in the heart of their communities and employ expertise in responsibly retailing many unique products. Alcohol is the primary product. Familia Castaño, Hécula Monastrell 2014 wins Wine of the Year Award. 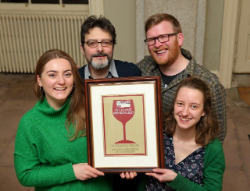 The National Off-Licence Association (NOffLA) awarded Gold, Silver and Bronze Star Awards to a total of 45 wines at the The Irish Wine Show Awards ceremony which took place on Monday, 10th October. Responsible Trading in the Community is renowned to be the leading alcohol training course available in Ireland today. 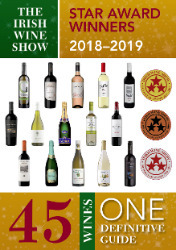 The Irish Wine Show Gold Star Awards are the leading wine awards in Ireland, and are exclusive to NOffLA member outlets. These companies offer the association their ongoing support which allows us to improve and enhance the off licence industry.